Feeling like your missing out because you work nights? want to make the most of the special day with your special somebody? 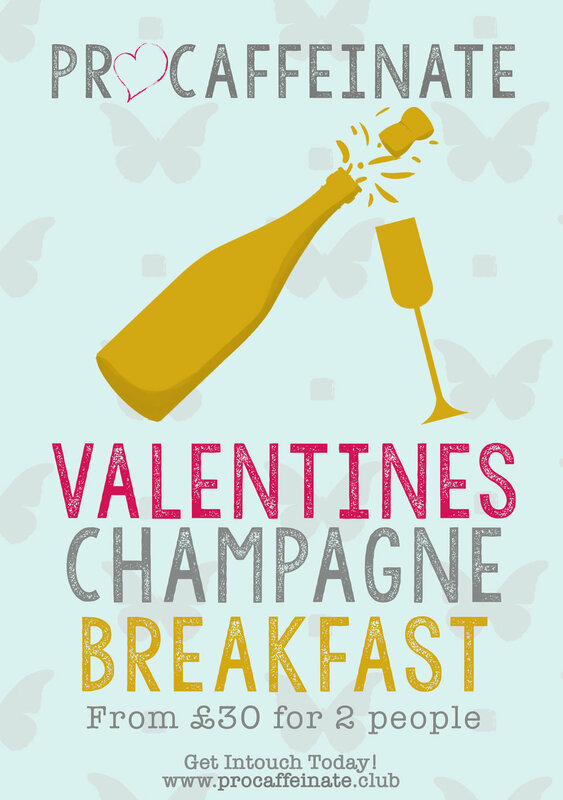 get your hands on a champagne breakfast starting at £30. Procaffeinate, 66-68 Clemens Street, Royal Leamington Spa. Warwickshire. CV31 2DN. ©Copyright Procaffeinate 2016 All Rights Reserved.